Paint color is one of the most important design elements of bedrooms. Bedrooms, by their very nature, are places for relaxation to include spending quality time with spouses or time alone reading books, journaling or resting. While studies have shown that color has an effect on both the psyche and mood, many homeowners still struggle with which wall color is the best option. This is why it’s so important to choose a traditional paint color that will not interfere with the tranquility of a bedroom. 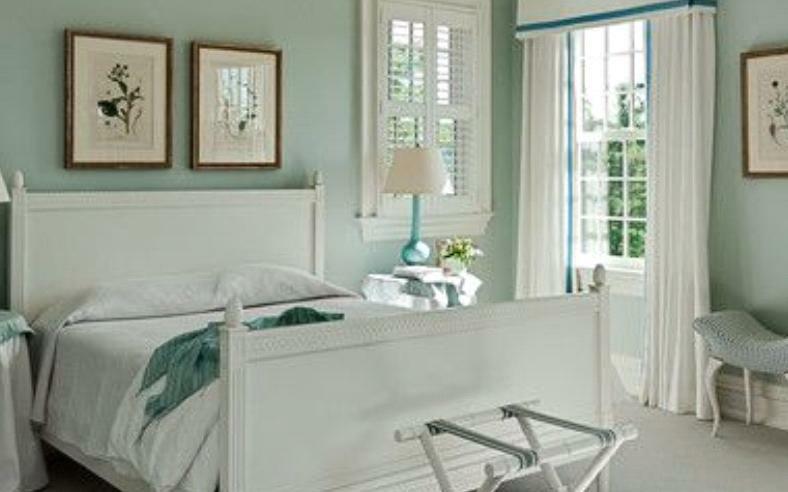 Here are a few ideas on choosing the best paint color for a traditional-looking bedroom. Choose between several shades of blue for an immediately calming sensation. Blues are not only inviting, but they are tremendously relaxing. This color is peaceful and quiet, often stimulating the senses. This color invokes feelings of stability and protection. Additionally, blues encourage thinking and contemplation. Imagine reading a good book surrounding by a calming shade of blue. Popular shades of blue for traditional bedrooms include sky blue, muted teals and blues with hints of gray. Blues are on the cooler side of the color spectrum and they are beneficial for promoting serene calm for a soothing experience. What’s more is various shades of blue match very well with wood furniture and other metallic accents. A house painter in Northern NJ can provide excellent advice regarding how to choose the perfect shade of blue to match a home’s interior. 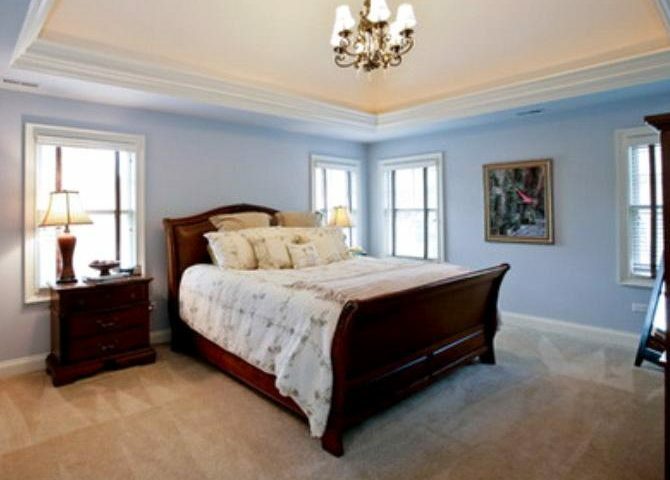 For advice on the best bedroom color or to hire a house painter contact a top NJ painter today. Green is an excellent color that adds balance to traditional bedrooms. This serene color is reminiscent of nature in all of its various forms. Greens go very well with floral-inspired motifs and can provide just the right hint of being outdoors. Greens can invoke feelings of Spring and Summer and can create a garden-like atmosphere all while never having to leave the bedroom. From olives to mints to sages, various shades of green can provide a bedroom with a new look and feel. Softer shades of green are surprisingly comfortable and provide just enough color to make an impact on traditional bedrooms. Green is certainly a go-to bedroom color of choice. A well-designed bedroom can infuse soothing purples with varying levels of intensity to include shades of lavender, lilac, orchid and calming violets. Paint the entire room an invigorating shade of purple or just choose an accent wall for a toned downed look. Purples are very serene and go very well when matched with neutrals such as beige or tan. While true purple can be an overpowering color, subdued variations are perfect for the slightest hint of color. This soothing color is perfect for mature traditional bedrooms and can be matched with almost any combination of furnishings, especially mahogany woods and oaks. 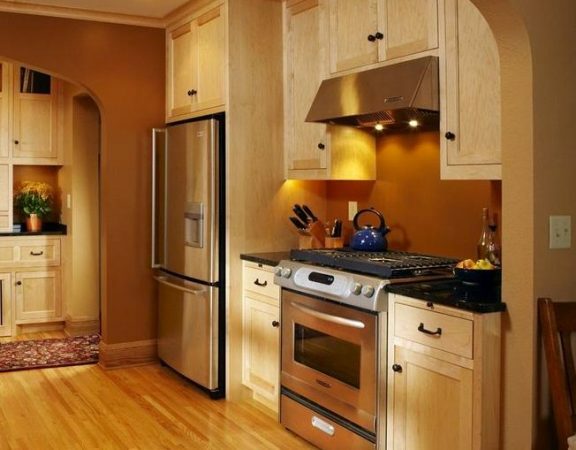 Neutrals remain the go-to option for many homeowners who want a maintain a traditional look. Choose between comfortable beiges, creams and warm browns. The best thing about neutrals is they can be combined with other colors for a sophisticated and grounded look. Neutrals are cozy and they are perfect for traditional bedroom walls as they do not overpower the space. Neutrals encourage an airy touch with the slightest hint of color for a laid back, relaxing bedroom experience. White is an invigorating and refreshing traditional bedroom color. Classic white paint does not represent a lack of color. On the contrary, white is a great way for homeowners to accentuate the focal points in their bedrooms including grand headboards, framed artwork or colorful quilts and draperies. Traditional white paint can make these items stand out, making them more noticeable for a visually pleasing experience. White is a color that evokes feelings of relaxation and depending on the undertone, whites can either be clean and crisp or they can be warm and cool. For example, a spin on classic white is white with gray or brown undertones. There are also whites with blue or yellow tints. These traditional colors make the bedroom appear much larger and these variations provide for a subtle and unexpected contrast. There are certain colors that should be avoided in the bedroom if the objective is to obtain a traditional look. Such colors include red and dark grays. Red is a very bold and active color that symbolizes energy. This color is active and in general can overwhelm the space resulting in a non-traditional look. Similarly, dark gray should be avoided. While dark gray provides a classic look, studies have shown that it can induce feelings of sadness and increase somber moods. Have a peaceful experience in a bedroom painted in a traditional color such as calming blues, tranquil greens, purples, neutrals and white. No matter what color is chosen, there is a perfect shade available for every taste. Remember, if a traditional look is being sought, then the perfect color scheme can be chosen for any upcoming interior paint project. A house painter in NJ is a great resource for additional tips and advice on interior paint options. Contact a painting specialist today for additional ideas on painting bedrooms.